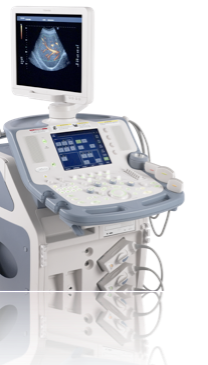 The Xario ultrasound system delivers an abundance of features that promote operator comfort and ease of movement while streamlining workflow. Xario's user interface enables efficient operation, thanks to push-button simplicity. 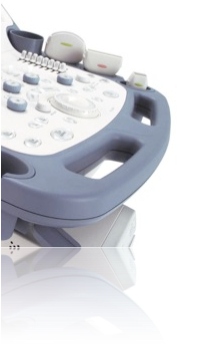 The programmable user interface adapts easily to changing clinical needs and the preferences of multiple operators. Consistent with our Made for Life philosophy, the Xario includes hardware and software applications that improve the patient experience and enhance interaction. 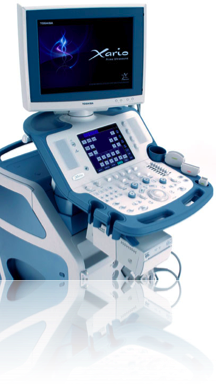 With its state-of-the-art intelligent design, Xario helps perform a fast, quiet and accurate ultrasound exam. Patient exams are always quiet and comfortable with iASSIST wireless remote allowing the technician to control the user interfact without voice commands. Patient viewing of monitor is enhanced with a 17" flat panel monitor which rotates and articulates for easy viewing. A comprehensive set of advanced applications address today's clinical needs including general imaging, radiology applications, cardiovascular applications, doppler, color doppler, 3D/4D imaging and more.. Packing more time-saving features into a smaller space than anything in its class, Xario holds the key to improving productivity. white noise in echo-weak regions. iASSIST is a Bluetooth enabled remote control provides seamless operation of Xario from up to 30 feet away.